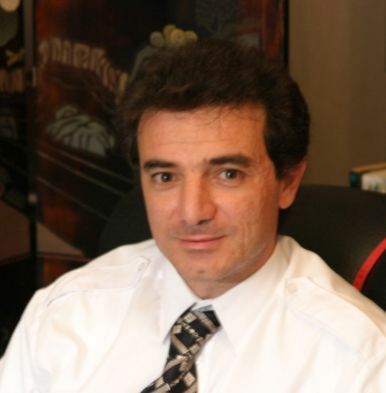 Kenneth P Camilleri graduated in electrical engineering from the University of Malta in 1991 and received the M.Sc. in Signal Processing & Machine Intelligence and Ph.D. in Image Processing & Pattern Recognition in 1994 and 1999, respectively, from the University of Surrey, Guildford, UK. He is currently the Head of Department of Systems and Control Engineering in the Faculty of Engineering and Director of the Centre for Biomedical Cybernetics at the University of Malta. Prof Camilleri has a long track record in research in the area of computer vision and in the analysis of brain signals, publishing over 80 research papers in peer-reviewed international journals and conferences. His present research work, together with his PhD students and research colleagues span the areas of computer vision for eye-gaze tracking, various applications of thermal image analysis (thermography), sketch and drawing understanding, scene understanding augmented by natural language, ultrasound signal & image processing, electroencephalography (EEG) signal processing, brain-computer interfacing, multi-sensorial gait and motion analysis, stroke patient rehabilitation monitoring and neurorehabilitation. Prof Camilleri was responsible for setting-up of the Biomedical Engineering Research Laboratory with funding from the European Regional Development Fund (ERDF). This Laboratory has consolidated several collaborative research initiatives with health and medical scientists, opening the way towards inter-disciplinary research applying technology to medicine and health. The specific research interests of Professor Camilleri include image analysis and understanding, computer vision, biomedical engineering and brain signal & image analysis applied to the diagnosis of brain diseases and to brain-computer interfacing. Gatt, A., Formosa, C., Cassar, K., Camilleri, K.P., De Raffaele, C., Mizzi, A., Azzopardi, C., Mizzi, S., Falzon, O., Cristina, S. & Chockalingam, N. 2015, “Thermographic Patterns of the Upper and Lower Limbs: Baseline Data“, International Journal of Vascular Medicine, . Camilleri, T.A., Camilleri, K.P. & Fabri, S.G. Elsevier, vol. 10, pp. 117-127, Mar. 2014, “Automatic Detection of Spindles and K-complexes in Sleep EEG Using Switching Multiple Modes“, Biomedical Signal Processing and Control, vol. 10, no. March, pp. 117-127. Falzon, O., Camilleri, K.P. & Muscat, J. 2012, “Complex-valued spatial filters for SSVEP-based BCI’s with phase coding“, IEEE Transactions on Biomedical Engineering, vol. 59, no. 9, pp. 2486-2495. Cassar, T., Camilleri, K.P. & Fabri, S.G. 2010, “Order Estimation of Multivariate ARMA Models“, Selected Topics in Signal Processing, IEEE Journal of, vol. 4, no. 3, pp. 494-503. Falzon, O., Camilleri, K.P. & Muscat, J. 2010, “Complex-valued spatial filters for task discrimination“, Engineering in Medicine and Biology Society (EMBC), 2010 Annual International Conference of the IEEE, pp. 4707. Grech, R., Cassar, T., Muscat, J., Camilleri, K., Fabri, S., Zervakis, M., Xanthopoulos, P., Sakkalis, V. & Vanrumste, B. 2008, “Review on solving the inverse problem in EEG source analysis“, Journal of NeuroEngineering and Rehabilitation, vol. 5, no. 1, pp. 25. Bartolo, A., Camilleri, K.P., Fabri, S.G., Borg, J.C. & Farrugia, P.J. 2007, “Scribbles to vectors: preparation of scribble drawings for CAD interpretation“, Proceedings of the 4th Eurographics workshop on Sketch-based interfaces and modelingACM, , pp. 123. Hallez, H., Vanrumste, B., Grech, R., Muscat, J., De Clercq, W., Vergult, A., D’Asseler, Y., Camilleri, K., Fabri, S., Van Huffel, S. & Lemahieu, I. 2007, “Review on solving the forward problem in EEG source analysis“, Journal of NeuroEngineering and Rehabilitation, vol. 4, no. 1, pp. 46. Jervis, B., Belal, S., Camilleri, K., Cassar, T., Bigan, C., Linden, D.E., Michalopoulos, K., Zervakis, M., Besleaga, M., Fabri, S. & Muscat, J. 2007, “The independent components of auditory P300 and CNV evoked potentials derived from single-trial recordings“, Physiological Measurement, vol. 28, no. 8, pp. 745-771.